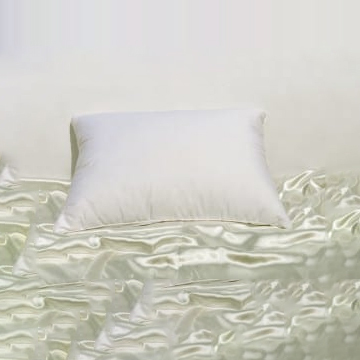 The Down-Like Pillows are made from a very fine micro-denier (.9 denier) polyester fiber, often referred to as GEL fiber (the pillows DO NOT contain liquid gel ). 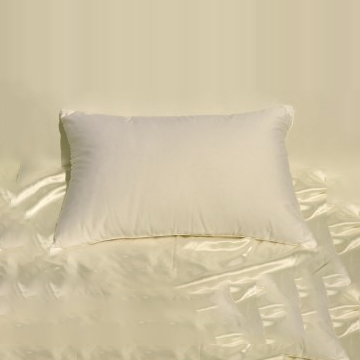 This unique fiber emulates the feel of Down, is very very soft, BUT has very little “bounce”, just like down. 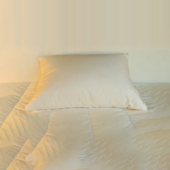 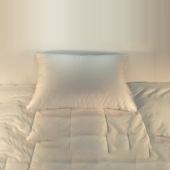 For the cover we are using the same high quality 200 thread count, white, Down-Proof ticking, found in our Down/Feather pillows.